This is yet another simple and quick recipe for Bachelors that can be ruffled within minutes if you have bread and potatoes on hand. I had some leftover capsicum and onions that I added, but you can do without them as well. 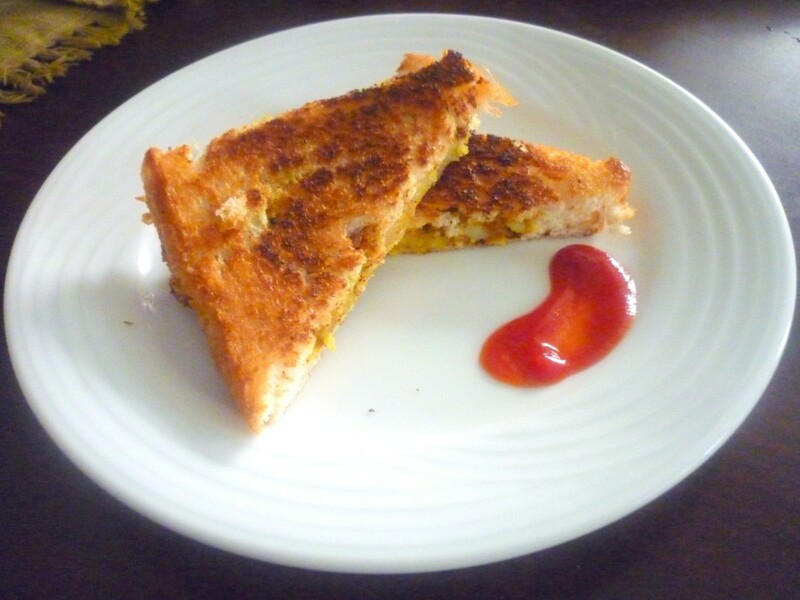 I even used some Kitchen King masala that gives a wonderful kick to the sandwiches. You can ignore if you don’t have and add pav baji masala or even just chili powder and garam masala should work out. 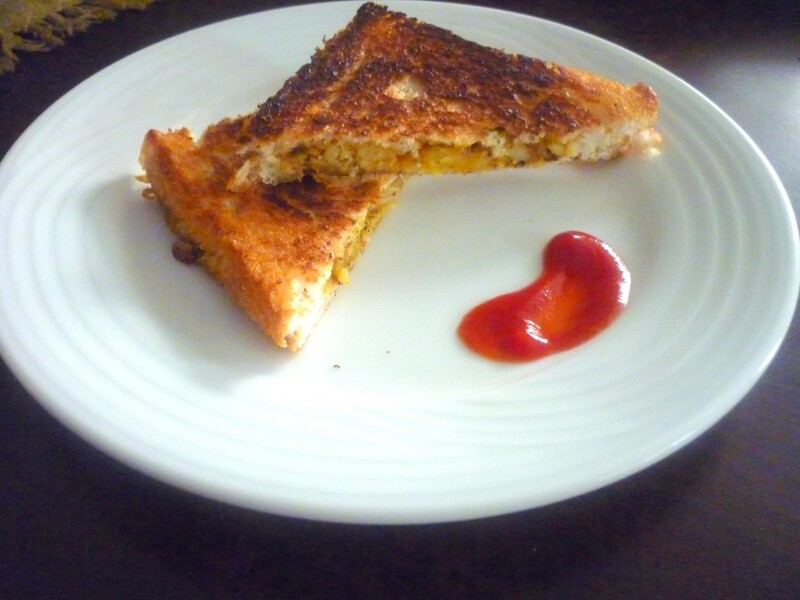 Since this is made on the tawa, bachelors need not worry about sandwich maker or toaster to make their sandwiches. Wash and slash the potatoes with sharp knife, microwave for 6 – 7 mins, else pressure cook till soft. Once done, peel and mash well. Heat a non stick pan and saute onions in a tsp of oil, add finely chopped capsicum. When both onions and capsicum turn soft, add the salt and masalas, saute for couple of minutes. Finally add the mashed potatoes. Combine everything well. Remove and cool. Heat a tawa, trim the bread sides stuff the aloo masala on one bread, press the other slice over it. Grease the tawa with little butter and cook the sandwich on hot tawa till it turns golden on both sides. If you don’t have Kitchen King Masala, you can use regular masala that you have on hand. yummy sandwich n completely agree with PJ…. How much potato requires for making one sandwich? Cudnt understand one cup! thank you so much…followed it exactly and it came out AWESOME!!!!! it is awessommmee we tried it and we got it was yummmy!!!!!!!!!!!!!!! !